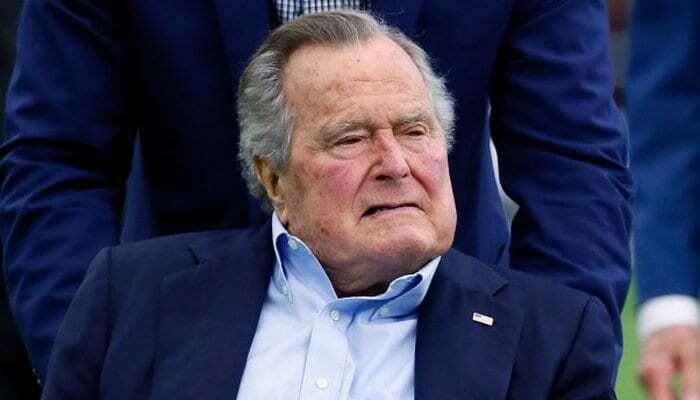 My heart aches knowing George Bush 41 has passed. An authentic caring human being who never hid his truth. He will always remind us 2 exemplify that wining will never be our legacy. His love for life and family will live on RIP dear soul. Arnold Schwarzenegger: Today, we’ve lost a great hero. George Bush was an inspiration to all Americans and we will miss him dearly. From the day he first put on his U.S. Navy flight suit and took off into the unknown, he always put his country first. He took on many jobs throughout his long career, and all shared one distinct trait: public service. His greatest legacy is that pure American spirit, that commitment to selflessness that drove him until the very end.